This study examined how the satoyama*1 culture has been and is being passed on to future generations in the Sakihama district of Ofunato City, Iwate Prefecture, through literature searches, on-site investigations, and interviews. The results of the study are summarized as: 1) Overview of the Sakihama district (Location and land use, Population trends, Industry, and Domestic culture), and 2) Characteristics of the satoyama culture (Spatial linkage between satochi*2, satoyama, and satoumi*3, Inheritance of domestic wisdom adapted to weather and climate from the past, and Inheritance and development of the culture through the relationships among people). 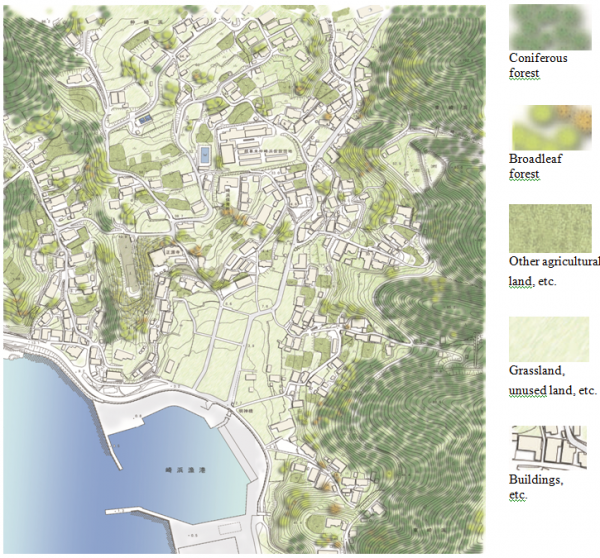 *1 An environment where people use nature and nature is conserved by the people who use it, on the border of sato (lit. village) and yama (lit. mountain) *2 Areas such as agricultural land and human settlements *3 A section of ocean that coexists with a nearby populated area. While this study found serious damage caused by the Great East Japan Earthquake and the associated tsunami, through which many valuable assets were lost, it was encouraging to learn that people have started to resume passing on and restoring the culture and blessings of mountains, villages and the ocean. The history and culture that have been passed down through the strong connection of mountains, villages, and the ocean are valuable regional resources. 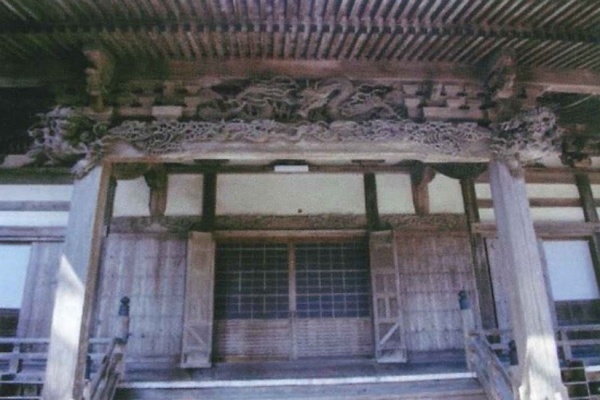 In this study, the researchers realized that it is important to carry out and improve activities to connect spaces with spaces, people with people, and the past with the present to pass on the valuable satoyama culture. The Sakihama district is located east of Okirai, in the town of Sanriku, that is about 20 kilometers from the center of the city of Ofunato. The Kobezaki Lighthouse marks the easternmost point of this promontory, which is also bounded by Mount Dairoku (elevation: 514.8 m) in the northwest and Mount Soto (elevation: 445 m) in the east. The south coast of this region faces Okirai Bay, with Kokabe and Kippin in the north, the Kippin Bay that is famous for the abalones, and the ria coastline that is a characteristic coastal feature of this region connects to Urahama in the west. The size of the region is about 14 km2, of which forest accounts for about 95% or about 13.3 km2, residential areas about 12 hectares, farmland about 40 hectares, and paddy fields about 7 hectares. Among the forests, secondary forest accounts for about 50%, cedar forest about 24%, Japanese red pine forest about 10%, in addition to cypress forests and Japanese larch forests. The climate is warmer than the inland area of Iwate, and the region has many sunny days from winter to spring*1. People seem to have lived in the Sakihama district in the mid-Jomon period, as remains of arrowheads and pieces of earthenware have been discovered in this region. The conditions of villages after this period are unknown, but 18 buildings were recorded in the inspection by the feudal clan of Date in 1643 (Kanei 20). 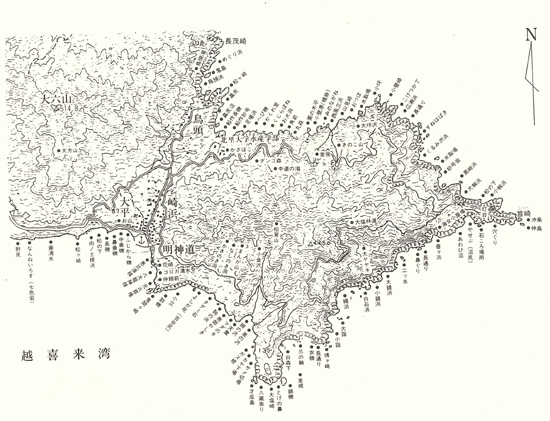 In addition, 84 buildings were found in the map of 1873 (Meiji 6), a number which then increased to 95 buildings in 1896 (Meiji 29). Although there is no record of the number of people per household, each household is estimated to have had six to nine members, a larger number than that of today, according to a record from 1896 which says the population was 657 in 95 households. In the Showa period, the population that had been 1,368 at the time of the Sanriku Tsunami in 1933 decreased to 1,186 in 1988*2. The population decline ceased when students of the School of Fisheries Sciences of Kitasato University began to reside in the area in 1985. Yet, the student populations also decreased after facilities of Kitasato University were relocated to Tokyo after the Great East Japan Earthquake. Fishing is the main industry of the Sakihama district. The use of fixed nets seems to have begun at the end of the 18th century. According to the 1939 survey, 141 households and 948 people were engaged in the fishing industry in Sakihama. Occupations in the industry included fish trapping, squid fishing, abalone fishing, and seaweed production. Eleven seafood processing and production companies that produced dried bonito shavings, dried squid, and fish lees prospered until the early Showa period. Acquaculture has become prevalent in recent years, and the scallop and sea squirt aquaculture and processing of seaweed are still being continued*3. Production of firewood and charcoal prospered in Iwate Prefecture after around 1897. Many people in Sakihama also produced charcoal from the end of the Meiji to the Taisho period. Workers called “yakiko” were hired to burn charcoal, which was hand-carried to the beach and then transported to Shiogama by ships. Some charcoal producers started to make charcoal by purchasing lumber from village-owned miscellaneous forests around 1934. 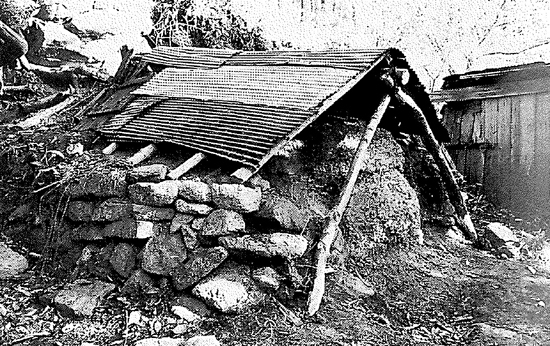 Commissioned sales of charcoal through the agricultural cooperative started around 1955. 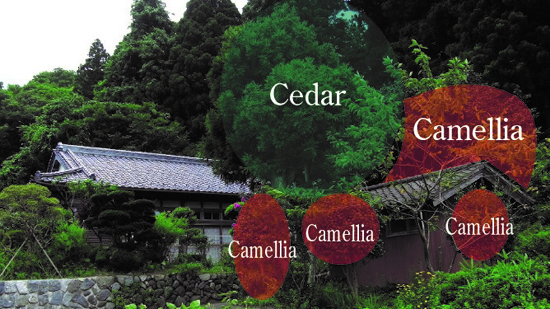 Cedar forests were developed in the area where trees had been cut for charcoal production when the village of Sanriku was established in 1956. Charcoal burners and their families originally engaged in forest management after the planting of the forest. However, charcoal production started to decrease after that, because massive labor was required for the forest management and also due to the fuel revolution’s shift to gas, oil, and electricity. 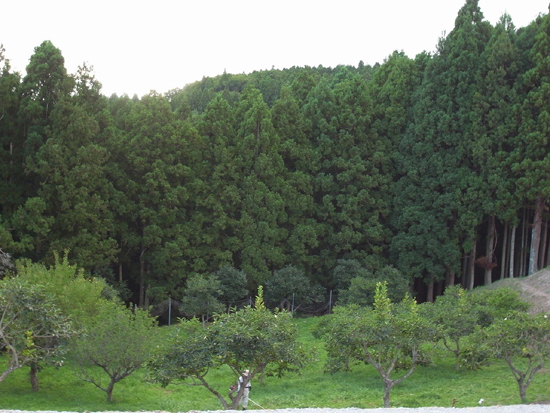 Forestry in the Sakihama district thus moved from charcoal production to cedar forest development. Yet, forestry declined while the profit from fishery increased due to aquaculture, amid lowered lumber prices*4. Meanwhile, in terms of agricultural production, the people in the region cultivated wheat, millet, and barnyard millet, as well as soy and azuki beans as off-season crops. Cultivation of wheat and other cereals was discontinued around 1971. The main cultivation seen today is mostly growing of vegetables for private consumption. Sericulture was conducted from the mid-Taisho era to around 1931 but later declined due to factors including the tsunami damage in 1933*5. Various folk entertainments have been inherited in many areas of Iwate, including the Nenbutsu Kenmai, a dance performed at Shogenji Temple and other areas, Utaiage which is related to fishing, and the so-called Goiwai song. The Kenmai dance has been passed down as a way of mourning Yoshitsune and his servant Benkei who died in Oshu-Hiraizumi. Its history dates back 250 to 300 years, all these folk entertainments are deeply related to regional lifestyles and industries*6. Sakihama Shrine has been central to worship in this region. Members of the village and nearby areas visit there to pray for prosperous fishing, safe childbirth, and to be blessed with many children. People also decorate fishing boats with pine trees, plum trees, and bamboo on New Year’s Day, creating a colorful event that has been celebrated in the region for generations. The Sakihama region also has names of locations which reflect folktales and legends such as Kobezaki, Kimagasaki, Hotokegasaki, Koromoiso, Myogoiwa, and Mount Dairoku. Names given to minor geological features mainly along the coast are shown on the map below, indicating a lifestyle closely connected with the ocean. 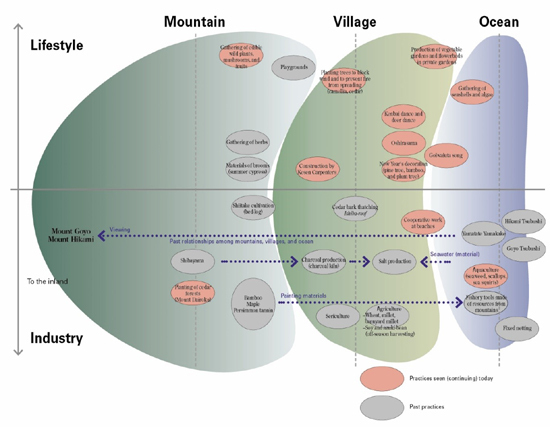 Based on the above observations, characteristics and transitions of cultures related to the industries and lifestyles of the Sakihama district, as well as the relationship of mountains, villages, and ocean can be summarized in the map below. 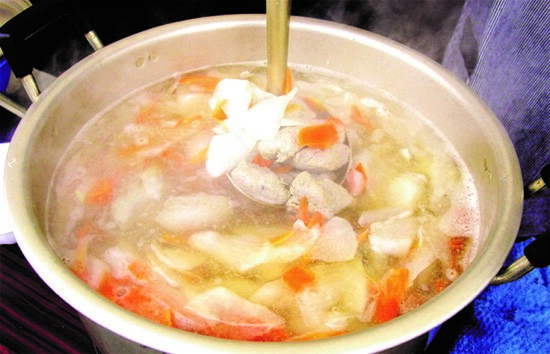 The following characteristics are found in the linkage among satochi, satoyama, and satoumi in terms of the culture related to the lifestyles and industries of the Sakihama region. First, fuel for salt production and raw wood for charcoal and firewood production were carried from satoyama and used for lives and industries in satochi from the end of the Meiji period to the Taisho period. Resources from satochi, satoyama, and satoumi circulated in the Sakihama district that conducted agriculture and fisheries by using resources from satoyama for fuel for cooking and salt production and also by producing and selling charcoal. Secondly, wood and bamboo were used for building boats, creating fishing tools, and in festivals in the Sakihama district before the introduction of modern fishing vessels. This practice resulted in a strong linkage between satoyama and satoumi. In addition, connections between the resources of mountains and the ocean are still strong today. For example, the paddle, an essential instrument used in the Goiwaiuta song, the regional folklore of Sakihama, must be made of wood to produce the distinctive sound. 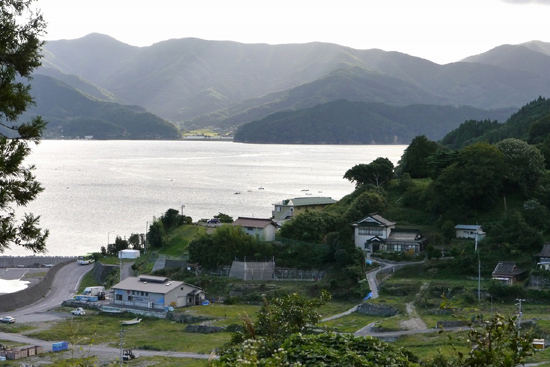 Thirdly, mountains around the Sakihama district have been closely related to fisheries. For example, traditional techniques named Yamadate and Yamakake have been practiced to identify locations for setting fixed nets in the ocean based on features of mountains (yama in Japanese). Also, fishermen use traditional wisdom to identify the position of their boats based on shapes of mountains called Hikami Tsubushi and Goyo Tsubushi. Although many linkages among satochi, satoyama, and satoumi have already been lost, the relationship between mountains and villages still continues today through the gathering of edible plants in the mountains. In addition, some experts point out the importance of the circulation of materials linking forests and ocean. For example, from the geological point of view: “The Kitakami Mountains consist of geological features such as the chert produced by the accumulation of sandstone and shale which were made from sand and mud and diatoms on the bottom of the ocean in prehistoric times. These are known as sedimentary rocks. In addition to these, granite produced by solidification of magma deep in the earth’s crust is also distributed in this area. Granite contains magnetite, biotite, and amphibole. Meanwhile, the sedimentary rocks consist of iron-bearing minerals such as hematite and siderite. As these minerals weather, the iron is decomposed into fulvic acid by microorganisms in forest soil. The fulvic acid is then washed away in rivers and ground water and ingested by fish and shellfish in the ocean*7.” As described here, spatial relationships between ocean and mountain, village and ocean, and village and mountain have built a multifaceted culture, which is expected to result in new uses of satochi, satoyama, and satoumi such as the development of rich forests resulting in the development of rich marine resources. Various domestic wisdoms and the power of village communities that have been inherited enable recovery from damage caused by weather, climate and natural disasters such as tsunami in the Sakihama district in addition to the coastal area of the Kesen region. First of all, the accumulation of snow in this region is not deep in winter, and the average temperature is about three degrees higher than in the inland areas, while the seasonal wind in winter is strong. In addition, the Sakihama district has experienced two extensive fires, in 1883 and 1895. Thus, people plant cedar and camellia, the evergreen trees in their gardens to block wind and prevent fire from spreading. Secondly, land use in the Sakihama district is unique to the rias coastline. People in this region have made the best use of mountains, villages, and ocean through industries such as charcoal production, forest management, and forest development in mountains, vegetable cultivation in villages, and gathering and farming of fish and shellfish in the ocean. Thus, children in this region naturally acquire the wisdom of lifestyles closely related with nature in mountains, villages, and ocean. 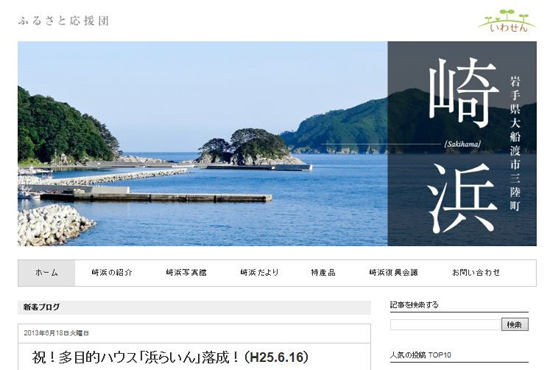 Events held by Sakihama Elementary School that were developed through the interaction between the Ukita region of the city of Hanamaki and the Sakihama district include the Kenbai dance in the sports festival, beach cleaning, and Shichifukujin Rokunensei presentation, and a family fishing competition*8. These events signify that the domestic cultures of this region are being passed on to future generations. 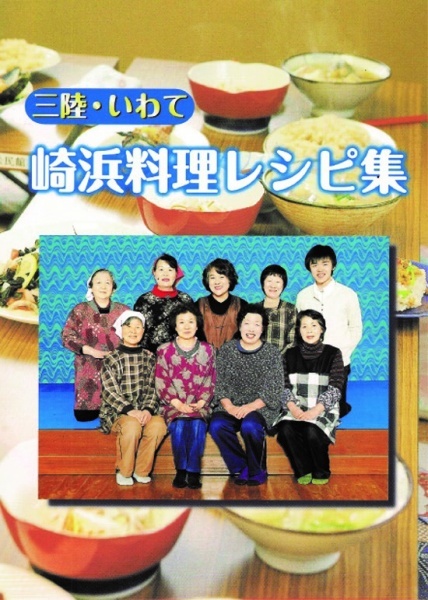 Sakihama also has local food based on the blessings of the ocean, such as saury, squid, and mackerel, and recipes are being published. As described here, lifestyles and industries are closely related in Sakihama, and various wisdoms are being passed on from adults to children. The satoyama culture in the Sakihama district has been inherited and is being developed through relationships among people. 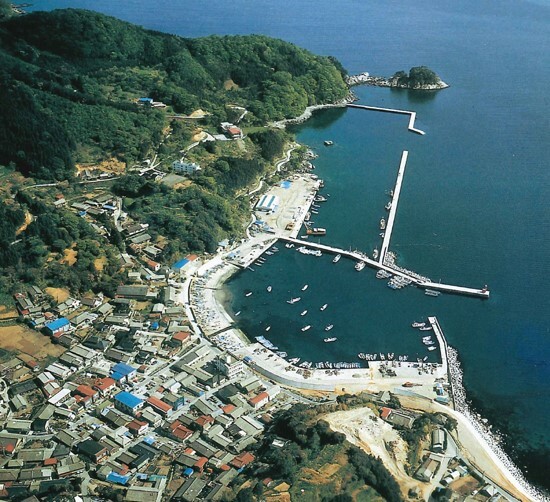 First, the Sakihama region facing Okirai Bay has ongoing rules concerning sustainable use of resources such as the marine work including seaweed aquaculture, the mountain work on Mount Dairoku, managed by the Sakihama Koekikai which is a village organization, regional efforts such as environmental management including weeding, and a restricted period for catching abalone. These systems and rules connect people in villages. They quickly launched the Sakihama Restoration Council to recover from the damage caused by the Great East Japan Earthquake and started various restoration efforts. Second, people frequently used boats to travel between Sakihama and the Horei region on the opposite side of the bay until 1947, after World War II, when land transportation such as buses were yet to be introduced. Marriages were often arranged between these two regions. Households registered with Ryushoji Temple in Horei are still located in Sakihama today, and the relationship of people is still continuing. Third, many buildings constructed by nationally known Kesen Carpenters with advanced skills still remain in the Kesen region. Shogenji Temple in Sakihama has burned down four times and been relocated five times and was constructed in 1890 at its current location. Suzuki Danroku from the village of Takkon was the foreman of the carpenters who constructed the current temple buildings. 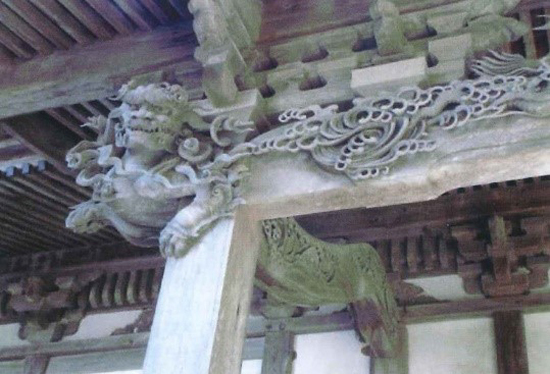 Toba Chogoro from the village of Otomo also created carvings on the lean-to roof and around pillars. The term Kesen Carpenters is often used to express respect for carpenters, is based on the practice that families of the client of a building cooperated with carpenters and sculptors and completed buildings*9. 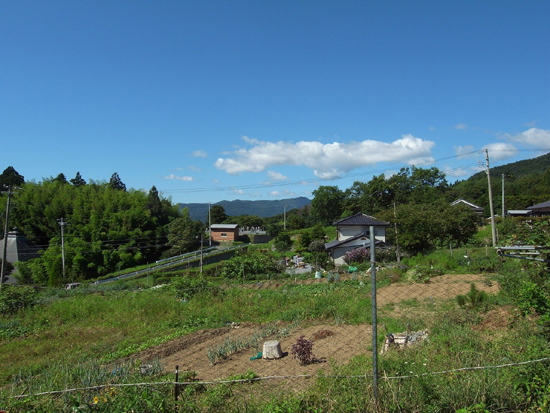 Finally, the Sakihama district had been interacting with the Ukita region of the city of Hanamaki, an agricultural village, since 2008, before the Great East Japan Earthquake. The purpose of the interaction shifted to support for restoration after the earthquake. The interaction then developed into advanced activities such as the transportation of aid supplies, the production of Furusato Garden to harvest plants and flowers used in mourning for the victims, and the establishment of Furusato Market to sell agricultural products in Sakihama. A noteworthy change is that the regeneration of the culture of mountain, village, and ocean is being implemented through new relationships among people. 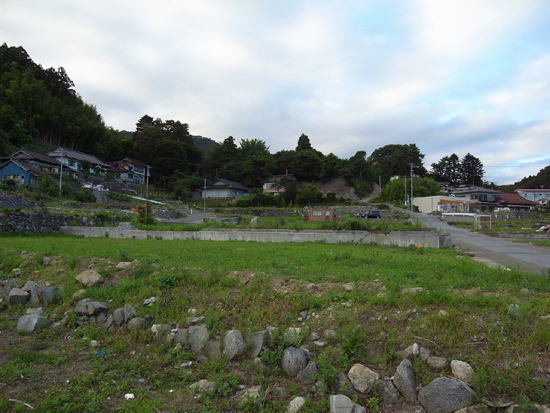 This study examined the satoyama culture through literature searches, on-site investigations, and interviews using the Sakihama district in environs of the town of Sanriku and the city of Ofunato as an example. As a result, this study found serious damage caused by the Great East Japan Earthquake and associated tsunamis, through which many valuable assets were lost. Meanwhile, people have started to move toward passing on and restoring the mountain landscapes, lifestyles in villages, and blessings from the ocean. “The climate is the integration of regional nature, history, and culture, and our lives depend on these elements. The hometown produced through such relationship should be bequeathed to the future generations. Actions and awareness of local people in addition to regional characteristics should be perceived as regional resources, and especially as one of public resources called regional resources. *10” As stated in this quote, the importance of public benefits and regional characteristics of satochi, satoyama, and satoumi has been pointed out. History and culture that have been passed down through the strong connection of mountains, villages, and ocean of the Kesen region including Sakihama are valuable regional resources. It is important to carry out and improve activities to connect spaces with spaces, people with people, and the past with the present to pass on the valuable satoyama culture.